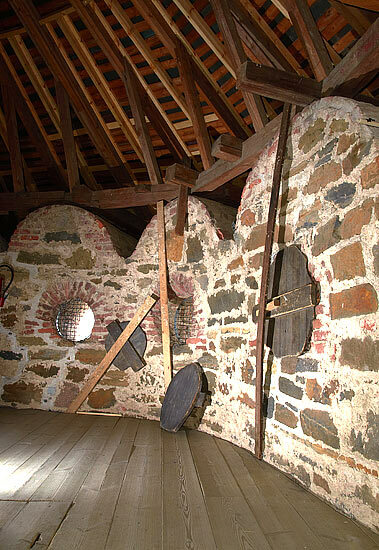 Top of the Bell Tower with a so called "peacetime roof" is on the photo. With the approach of the enemy this roof would be removed because of fire safety reasons. 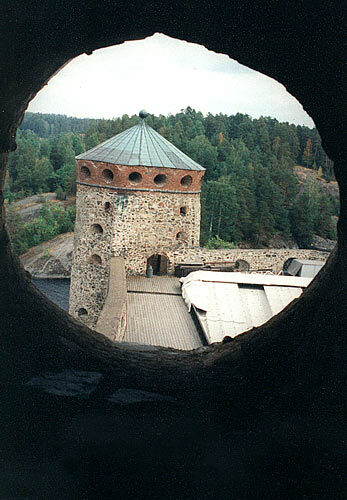 Round loopholes with semicircular teeth were built during the Russian rules in the fortress.